Lepidium Meyenii or Maca is one essential ingredient of Ignite Ultra v. The reasons for adding it will become clear the more we progress through this article. Maca comes in several forms (root, powder & capsule), several colours (yellow, red & black) & three strengths. All forms are made from organic Maca & all the good powdered versions (the ones that go into Ignite Ultra v) are sourced from Peru. Pure red Maca taken daily is linked to a reduction in the size of the prostrate whereas pure black Maca is considered the strongest for energy promoting properties. Ignite Ultra v contains Maca that is a combination of yellow, red & black Maca. This super food has been around for over 3000 years & the claims from this product seem to be too good to be true. It is only when you speak to people who have been using it for years, who had serious, long term or life threatening illnesses that they no longer have, do you begin to dig a little deeper. Maca has been used medicinally for centuries in South America and is known as an adaptogen. What is an adaptogen? In simplistic terms an adaptogen is a biological substance found in rare plants & herbs that help the body adapt to changes & stress. 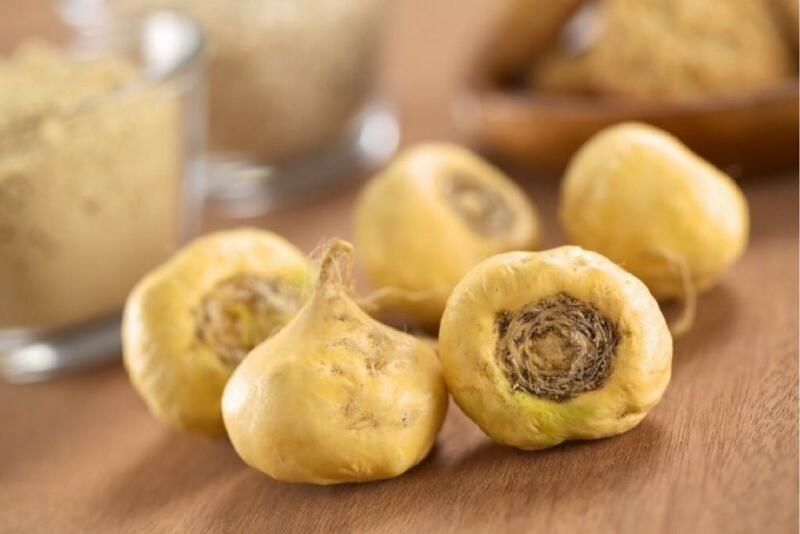 Maca starts life as a root which is dried and turned into powder. The powder is approximately 10% protein & contains 20 amino acids, 8 essential amino acids, is 60% carbohydrate & 8.5% fibre. Maca is abundant in amino acids, phytonutrients, essential fatty acids, vitamins (B1, B2, C & E) & minerals (calcium, magnesium, phosphorous, potassium, sulphur, sodium & iron). Maca has the ability to increase energy & stamina, oxygenate the blood, support neurotransmitter production & increase libido. 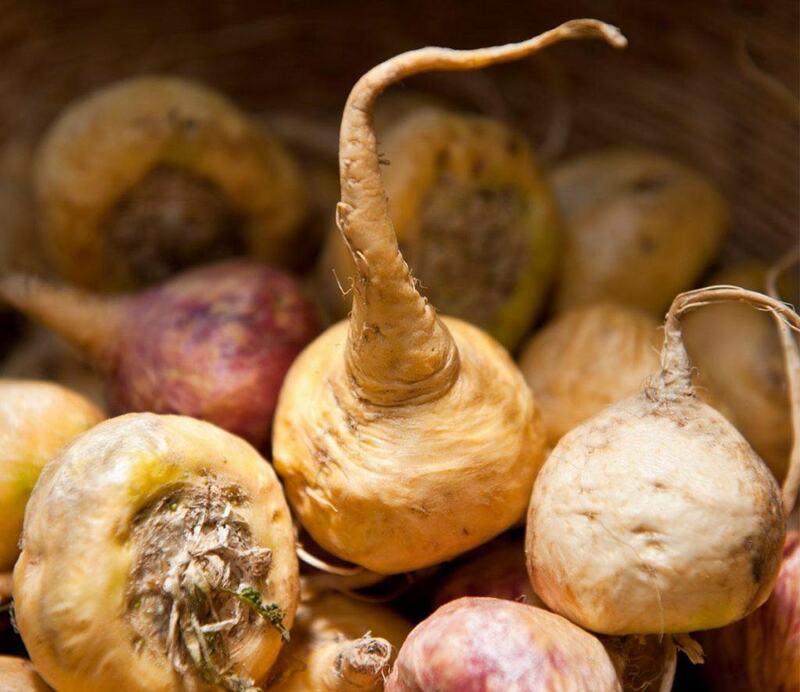 The medical & pharmaceutical profession are finding that Maca naturally & optimally balances & supports the endocrine system by aiding in the regulation of healthy hormone production through its adaptogenic properties. It must be stressed that Maca contains no hormones itself, yet has a rare set of nutrients that nourish the endocrine system, supports the adrenal glands & the thyroid to produce hormones in proper dosages determined by the physical needs of an individual. 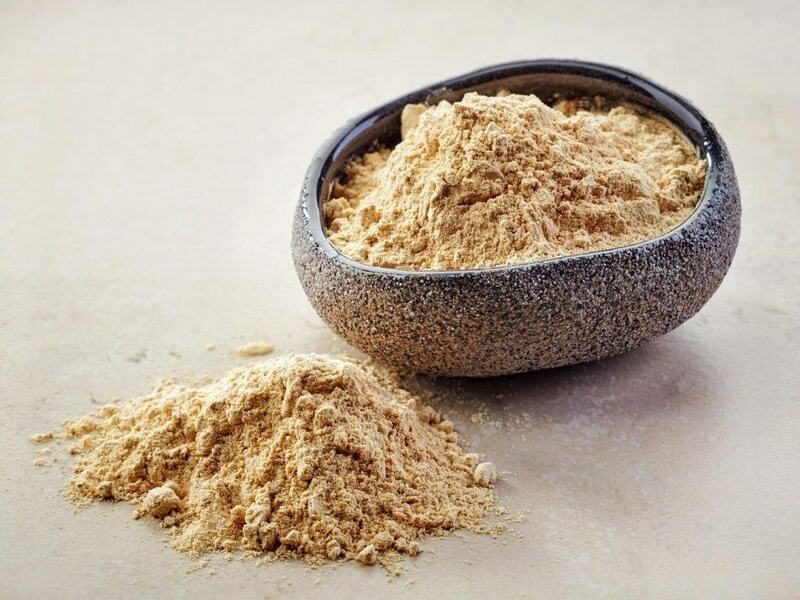 The medicinal properties of Maca can provide relief from both menopause & andropause symptoms & can slow down the aging process by maintaining the correct levels of oestrogen, progesterone, testosterone, DHEA and human growth hormone (HGH). When I found out about Maca & the amazing properties it has in relation to fitness, I knew that it had to be encompassed in Ignite Ultra v & so began months of painstaking research into Maca & its properties. Maca was chosen as an ingredient of Ignite Ultra v for its increased metabolic properties; for its testosterone raising properties & for the natural “steroid” like properties that improve workout performance, endurance, stamina, strength & muscle gain. Many users of Maca report a markedly noticeable increase in stamina after less than a week of using Maca. The increase in stamina may be the result of more stable blood sugar levels combined with the strengthening effect Maca has on the adrenals. Having more stable blood sugars & healthy adrenal function means more energy will be available for exercise. Increased stamina levels are ideal for runners & cyclists, but less obviously, better stamina helps your fat burning efforts with longer, easier or quicker cardio routines. Increased stamina will also make annoying chores less of an effort & leave you with more energy to hit the gym in the evening. Maca taken prior to exercise from a carbohydrate angle will improve workout performance by supplying muscles with the much needed glycogen they need for high intensity workouts. In addition to the carbohydrates, Maca also contains easily digestible, high quality protein, efa’s & minerals such as zinc, calcium & magnesium which have been proven to aid in both performance & recovery. Maca also provides mental clarity and/or focus. We all know you need to be clear headed to train intensively especially when you are going for a personal best. Another benefit of Maca is a positive mental outlook. Maca users often report a more positive mental outlook even after a few days use which may explain why people using Maca lose weight & gain muscle simply because they are more motivated to exercise. Sport, weight training & exercise in general comes down to the Central Nervous System. Maca is the medicine for the adrenals that theoretically allows the CNS to recover more rapidly allowing for more regular high intensity workouts without experiencing burnout. Maca & weight loss. Maca increases the metabolism to lose fat & balance the thyroid. Maca also improves the body’s glucose tolerance (blood sugar levels) so you possibly lose weight due to decreased hunger cravings. Alternatively, as you won’t have spikes in blood sugar, Maca may create better emotional stability which enables for better food choices. There is no recommended daily dose for Maca, but to benefit from its’ use around 15grams, normally taken throughout the day (3 x 5grams doses), is a good starting point. It is also recommended to cycle Maca i.e. 120 days on, 30 days off. Ignite Ultra v contains 3grams of Maca per 60gram serving, thus alleviating the need to cycle Maca. Consuming large amounts of Maca can cause excess gas. Also please do not consume Maca if you are pregnant or breastfeeding since no data is available yet to show its safety.